This is a fine little wargame for 2 players, simulating the historical events happening in Madrid in May 1808 - when some civilians rebelled against the French occupation troops of Napoleon. 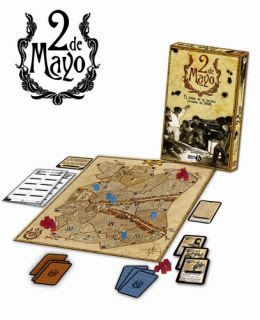 The medium-sized box comes with a board (showing Madrid), wooden cubes (representing Spanish civilians and French troops) and cards (triggering adequate events). 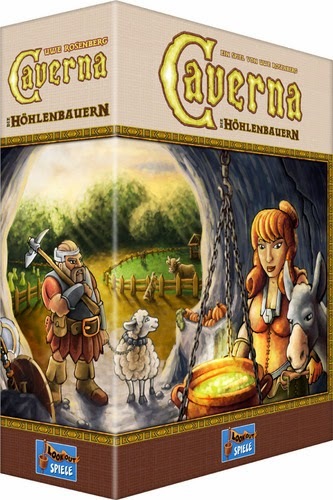 The game is bilingual (English, Spanish) and the rules are quite easy to understand, a complete example of gameplay is included as well as historical background information. The gameplay consists of ten turns with four phases each. In the preparation phase you draw an event card, afterwards your write down the movement orders for your forces secretly. In the third phase the orders are revealed simultaneously (and carried out on the board), then the last phase (resolution) follows - where depending on the strength of the respective force the outcome of a fight is calculated. For each side different victory conditions are applied. The designer, Mr. Daniel Val, already won an award for the game - and deservedly so. This is a real gem and hopefully will be noticed by a broad audience. The game plays quick (about 20 minutes), has a lof of tension and an interesting theme. Replayability is also high, as the game is very well balanced (although it is asymmetric) and as the event cards influence the flow of the game. Great! 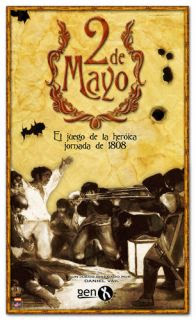 The Game Dos de Mayo is a historical simulation of the terrible incidents that took place in Madrid on May 2nd 1808. On that date, civilians in Madrid - and a few Spanish army units - rebelled against the French occupation troops of Napoleon. Dos de Mayo is a bilingual (English and Spanish) boardgame for two players, in which each player controls the forces of one side, either Spanish or French. The game lasts 10 turns and takes about 20-30 minutes to play.